See scan - perfect conditon. 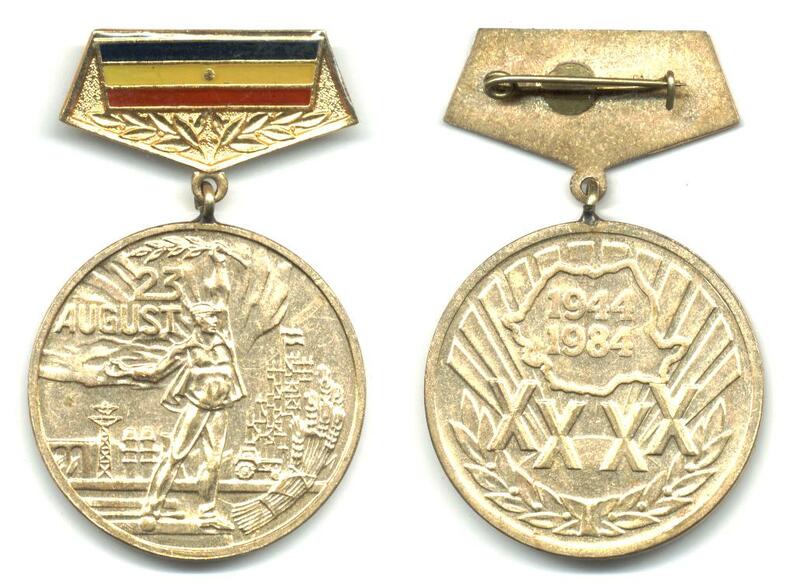 Nice Romanian / Rumanian official medal and probably the last medal issued by the communist regime in 1984. This is a nice piece awarded in order to commemorate the 40 years jubilee anniversary of the victory over NAZI Germany and fascism in 1944. Nice militaria / military collector piece and one of the nice Romanian medals.